A very friendly sticker of a girl with long hair jumping. Superb decal to decorate your child´s room and make it look more like it should! 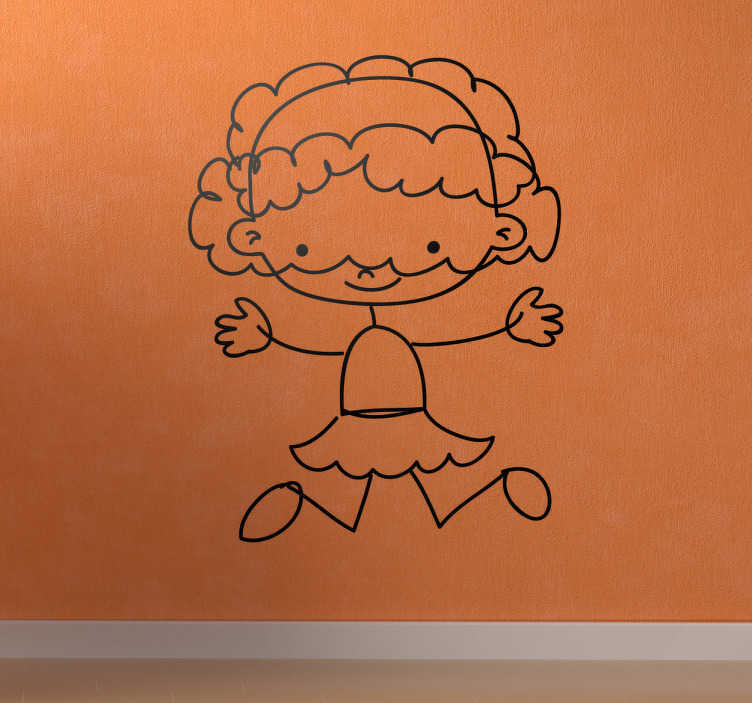 Decorate the wall in the nursery with this beautiful wall decal, a little girl happily jumping. Make the little ones happy with a sticker they will love. The sticker is available in various colours and sizes. This high quality sticker is easy to apply and remove made with anti-bubble vinyl and leaves no residue upon removal.